The town of Windermere is also known as the Town amongst the Lakes as it sits in the center of the Lake Butler Chain of Lakes. With a population of 3,327 people and constituent neighborhoods, Windermere is the 342nd largest community in Florida. Although the town itself covers only 2 square miles, Windermere has expanded dramatically in the last few years along with the expansion of West Orange County. The Windermere downtown district has become an area where families gather for breakfasts and lunches during the day, ice cream in the afternoon and evenings and the periodic events on Main Street that draw thousands of people. On the fourth Friday of the month Windermere hosts its Food Truck Roundup. Add its Fall Festival, Treebute, Easter Eggstravaganza, Halloween Spooktacular and its Christmas Light Up Windermere and you have a community that prides itself in being family friendly. 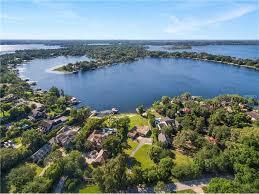 Windermere is home to many people who could be described as “urban sophisticates,” or people who are not only wealthy and employed in professional occupations, but highly educated. Urban sophisticates support bookstores, quality clothing stores, enjoy luxury travel, and are truly the patrons of the arts, attending and supporting institutions such as opera, symphony, ballet, and theatre. The town’s downtown roundabouts, town greens, bricked streets, extensive landscaping, pedestrian sidewalks and underground utilities provide a quaint downtown area not only for its residents, but for the immediate surrounding area. Of important note, Windermere is also a town of artists. Windermere has more artists, designers and people working in media than 90% of the communities in America. This concentration of artists helps shape Windermere’s character. The Downtown area has the classic of old town charm of Florida with both cobbled and unpaved streets leading to the lakes. The streets are purposely unpaved to prevent runoff of anything into the pristine chain of lakes. Windermere Trls Prcl 3 SubDv. Windermere Trls Ph 1 SubDv. Lake Sawyer South Ph 5 SubDv. Reserve At Waterford Pointe Ph 01 SubDv. Manors At Butler Bay SubDv. Enclave At Berkshire Park SubDv. Enclave/Berkshire Park B G H I SubDv. Silver Woods Ph 01 SubDv. Whitney Isles/Belmere Ph 02 SubDv. Waterford Pointe Ph 02 Rep SubDv.